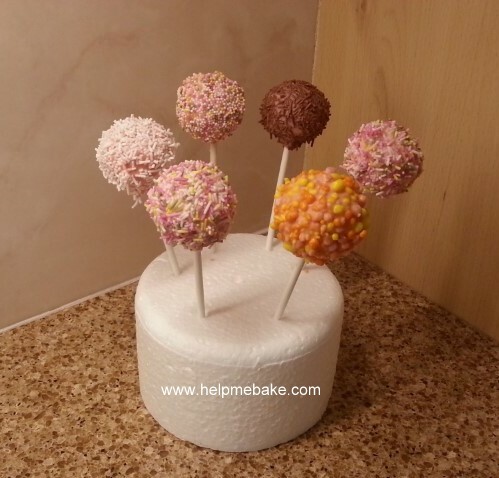 These festive mouthfuls are chocolate cake pops, covered in melted baking chocolate. 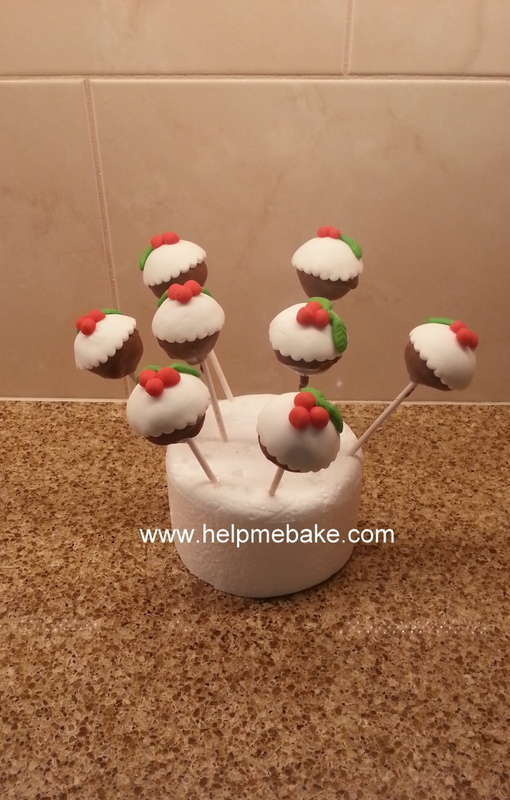 Topped with white icing fondant that was cut using circle cutters. 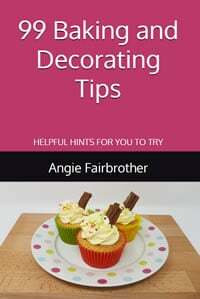 The berries are rolled balls of Poppy Red Renshaw Decor~Ice and the green holly leaves are also Lincoln Green Renshaws Decor~Ice. I made the leaf impressions using a knife. 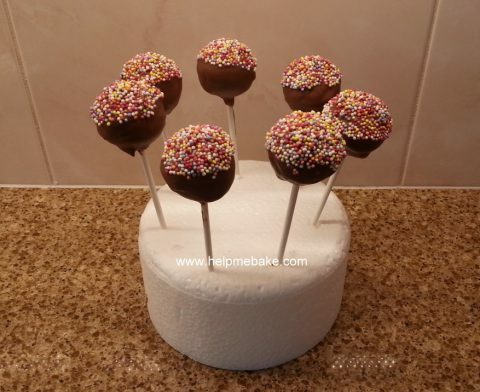 These chocolate sprinkled cake pops will be enjoyed this bonfire evening, they resemble chocolate apples but are made from marbled sponge, dairy milk chocolate and sprinkles. 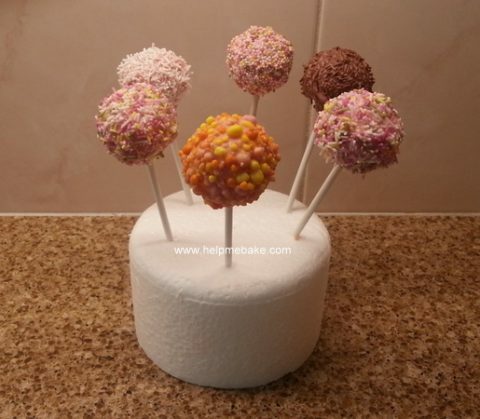 They can also be individually wrapped and given as presents or used as an alternative to Birthday Cake.